Usually, volunteers with the Red Cross Home Fire Campaign visit single family residences to install smoke alarms and educate residents on fire safety. But recently, Snohomish County volunteers were able to extend this service to a transitional housing shelter. “It felt good to be involved. It’s a safety factor,” said Richard. The Red Cross recommends smoke alarms be replaced every 10 years and tested monthly. Andy Leaf, Children’s Advocate and Resident Skills Coordinator, said the shelter provides temporary housing for up to 11 families for 90 days. Interfaith welcomes families with teenagers, unlike many other shelters, allowing them to stay together while working to get back on their feet. At the time of the installation, there were approximately 47 residents in the shelter, including 25 children and teens. The smoke alarms were installed in every family room as well as in shared areas such as the kitchen and major hallways. In the past, Leaf said the shelter paid for and installed the smoke alarms themselves. A necessary, but costly job. Leaf is thankful for the donated alarms and service, but notes the real benefit comes from the peace of mind, knowing that the facility is now safer for both residents and volunteers. “They really blessed us by coming out here. I didn’t know that we could get help like this,” Leaf said. 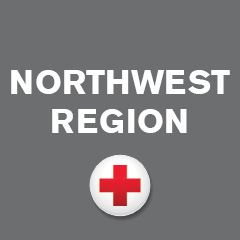 The Red Cross Home Fire Campaign is a three-year effort to reduce the number of injuries and fatalities from residential fires. Residents also learn to make a fire evacuation plan and receive general emergency preparedness information. Snohomish County Chapter Executive Chuck Morrison was thrilled to have the opportunity to help the shelter. “We have installed about 1,380 alarms in our community this year, but there’s more work to do. Each alarm has the potential to save a life,” Morrison said.